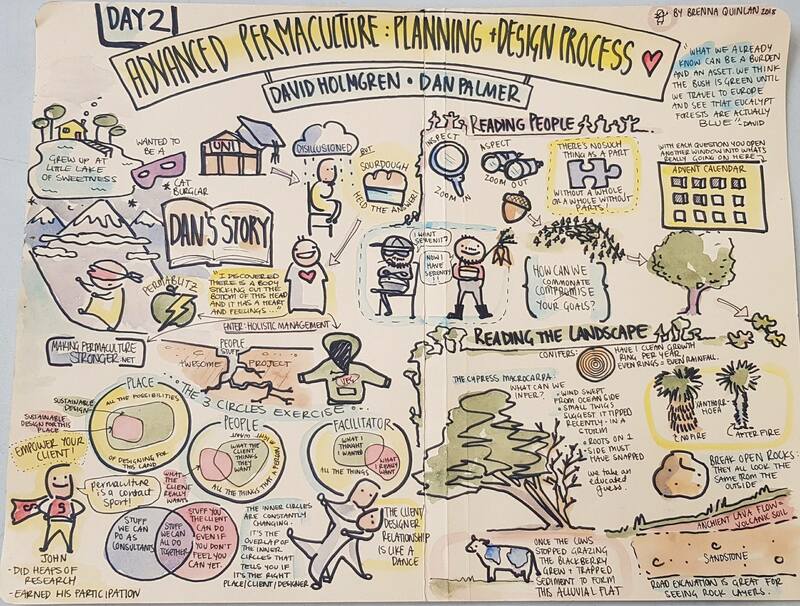 By way of this week’s post I share Brenna Quinlan’s fantabulous hand-drawn illustrations of days 1-3 of the four-day Advanced Permaculture Planning and Design Process workshop David Holmgren and I ran last week (with thirty lovely participants). 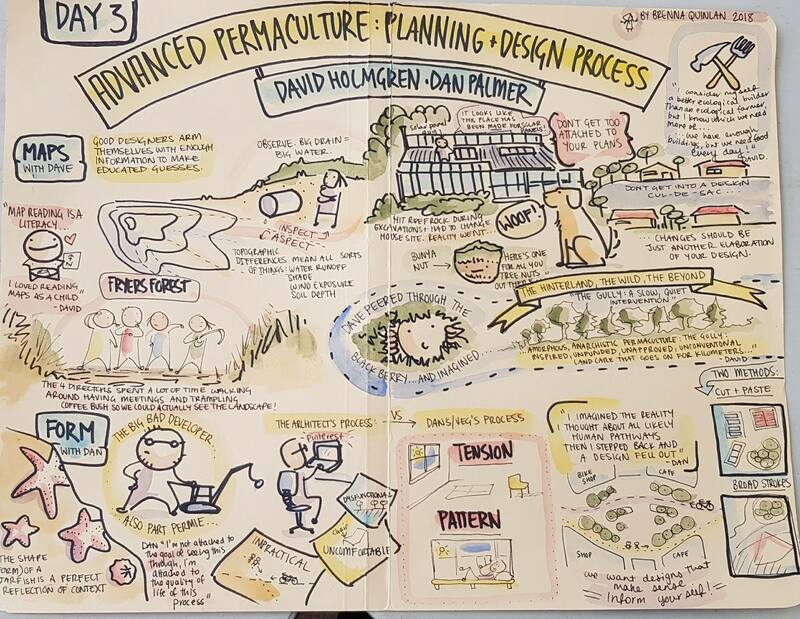 I’ll add a photo or two at some point and hopefully the day four illustration will eventuate also. I set a precedent for coverage of this event last year so figure I’ll keep the tradition alive. 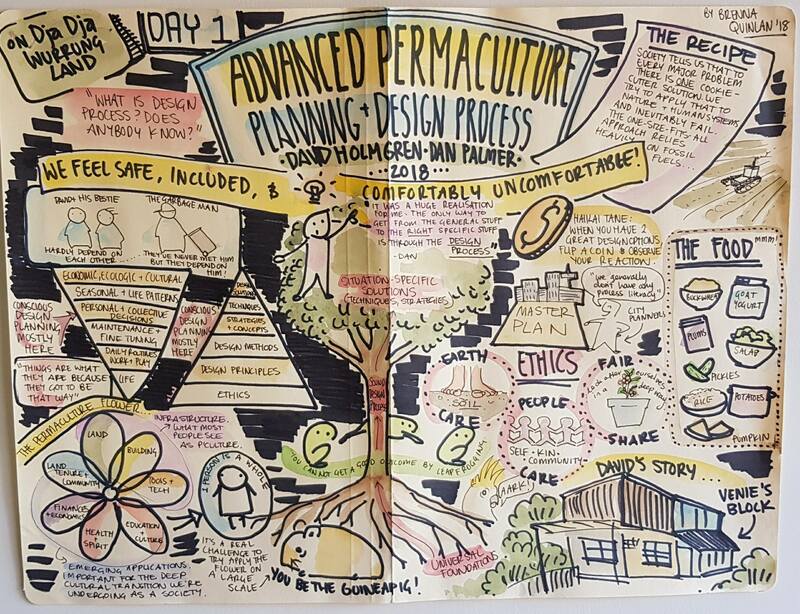 The event was a huge experience for me and for making permaculture stronger, to the extent of prompting a possible change of name for the whole project, amongst so many other things. All will be revealed in due course, I promise. Meantime enjoy Brenna’s extraordinary gift for capturing the message of the moment with such beautiful imagery.